History tells us as much about the past as it does about the present. An account of bygone ages is not merely a retrieval of objective facts, but also their appreciation in light of contemporary values and priorities. In discerning the sequence of events—continuity and disruption, turning points and progress—we invariably make choices as to the sources and voices, the events and epochs that are worthy of our attention. Do we listen to the victor or the vanquished in war? To the story of the slave or the slave owner? Do we only celebrate the strongmen or also the invisible women behind the scenes? Do we measure evolution by spectacular moments of violent revolution, or the subtle embrace of progress in the daily transactions comprising our culture? Do we imagine time as an inescapable repetition of the past or an invitation to imagine a different destiny? Perhaps the sequence of events is less significant than the importance we attach to their meaning, the so-called lessons of history. From this vantage point, great works of history are themselves history-making, because they transform distant occurrences from the past into a narrative about our current struggle to build a better future. 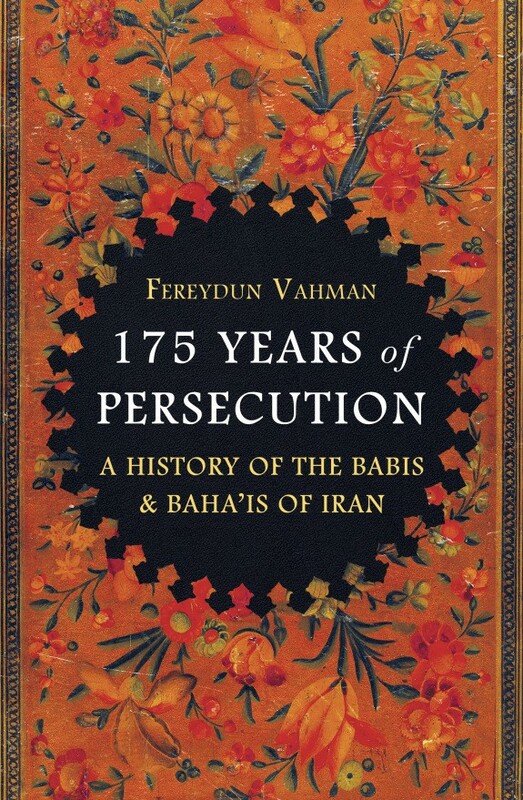 By this measure, 175 Years of Persecution by Fereydun Vahman, professor emeritus and renowned scholar of Iranian Studies at the University of Copenhagen, is a history-making work of history, an exceptional book written in an exceptional time in the modern evolution of an ancient nation. Against the backdrop of a grave, historical injustice, it is a narrative rooted in the search for redemption against overwhelming odds. His is a comprehensive and heart-breaking, infuriating but incisive, eloquent yet scholarly account of a virulent, obsessive hatred that has profoundly shaped the construction of Iran’s modern identity. It is a masterful weaving of abstract historical events with intimate stories of suffering, demonstrating how the choices made by the wielders of power shape the lives of ordinary people going about their lives. The demonization and scapegoating of Babis and Baha’is, from the inception of this faith in the mid-nineteenth century until the present, the treachery of fanatical religious clerics inciting ignorant mobs against people branded as infidels, the complicity of opportunistic political leaders tolerating such atrocities, the attempted extermination of an entire community with shocking cruelty, this appalling yet undeniable past says much about the plight of Iranians today as they struggle for liberation from the grip of a pernicious and hateful ideology. In reading this gripping, meticulously documented historical narrative, an epic struggle between humanity and inhumanity, the reader is struck by the continuity between past and present: the toxic seeds of hatred sown in the upheavals of nineteenth-century Iran leading to the bitter fruits of fanaticism and corrosive corruption on display today, the decline of a once great and diverse nation into intolerance, division and despair. The gallery of horrors on display will be familiar to students of history, except that they are still occur- ring today, in the postmodern world of the twenty-first century. The merciless slaughter of innocent men, women and children at the hands of violent mobs, blind, gullible followers convinced by religious leaders that murdering infidels brings divine blessings, are reminiscent of the anti-Semitic pogroms of the Crusades; the ruthless torture of prisoners to recant their faith or face execution replicates the horrors of the Spanish Inquisition; the burning, looting, and mass expulsion of Baha’i villages evoke images of ethnic cleansing from the Balkans; demolishing sacred places of worship, and even desecrating the dead in cemeteries, call to mind the wanton destruction of the Vandals; entrenching discrimination in law by prohibiting the rights of Baha’i citizens to marriage, employment and education reflects the theocratic equivalent of Nazi Germany’s infamous 1935 Nuremberg Laws. 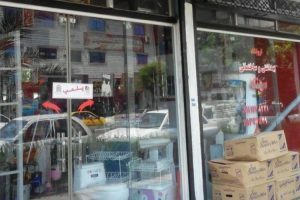 This barbaric sentiment is captured in the notorious declaration of the Supreme Leader of the Islamic Republic, Ayatollah Khamenei, in a sermon during Friday prayers, that all Baha’is are najes (ritually unclean, untouchables), a derisive term reserved for dogs and pigs. As is the case with other historical instances of scapegoating, these heinous acts are the reflection not of any wrongs committed by the victims, but rather a glimpse into the wicked, perverse imagination of the perpetrators—of their need to dehumanize and destroy others in order to feel powerful. The surfacing, at long last, of this dark and despicable past, and the awakening of enlightened Iranian leaders of thought to this grave injustice, embody an aspiration to live in a just society in which all Iranians enjoy equal rights, irrespective of belief. The growing chorus of condemnation against anti-Baha’i persecution captures the gradual transformation of theocratic tyranny into a culture of compassion, founded on an unshakeable consciousness that human rights belong to all human beings. At this historical juncture, a time of popular resurgence and reckoning with the past, this book has become a focal point for understanding the catastrophic consequences for all Iranians of systematic inhumanity against a peaceful and progressive community in their midst. Professor Vahman vividly demonstrates how, from the origin story of the revolutionary Babi movement in the mid- nineteenth century, to the genocidal pogroms of the Qajar era, to the improved, but precarious, situation during the Pahlavi years, and the calamitous re-emergence of the ideological extermination campaign following the 1979 Islamic Revolution, the history of anti-Baha’i persecution is characterized by pathologically paranoid conspiracy theories, manufactured by a self-serving, regressive religious caste, portraying an indigenous, modern, and socially progressive community of fellow Iranians committed to the moral renewal of their nation as foreign spies, devil-worshippers, and enemies of Islam, so poisoning impressionable minds with the invention of imaginary demons in order to maintain their grip on power. The projection of every conceivable evil onto Baha’is is, above all, about keeping the religious masses ignorant—pliable pawns at the disposal of the clerics in furtherance of their political machinations. The Baha’i ideals of democratic and consultative rule instead of authoritarian dogmatism; a peaceful international order in place of aggression; the equality of men and women instead of gender apartheid; social justice and moral transformation aimed at eradication of the pervasive corruption that enriches the few at the expense of the many; modern education and freedom of choice on spiritual matters without the control of meddling, mystical middlemen: these were, and remain, emancipatory beliefs and attributes that pose a direct threat to the purveyors of fanatical and authoritarian ideologies that have caused such desolation for the Iranian people. Today, in heroic scenes being played out in the streets of cities, towns, and villages across the country, in social media posts and YouTube clips, films and books, sculptures and paintings, in the inexorable movement of the masses crying for freedom and justice, we witness the dawning realization that the emancipation of the Baha’is is also the emancipation of the Iranian people. What is perhaps most remarkable about Professor Vahman’s historical account is not the more than a century and a half of relentless cruelty and oppression, but the astonishing resilience of the Baha’i community in the face of such hatred and violence. The image recurs of an innocent man stabbed to death in front of his wife and children, solely because of his religion, with the self-confessed culprit acquitted of wrongdoing because murder of infidels was religiously approved. This outrage could have happened, and has happened, equally in 1850, 1903, 1950, and 2016, to give but one example of the abominations detailed in this book. The anti-Baha’i persecutions are not just about a distant past, but also the persistent reality of the present. It is thus perplexing that despite so many years of unceasing efforts, including the Islamic Republic of Iran’s deployment over the past forty years of its formidable power and resources—the Revolutionary Courts and Revolutionary Guards, intelligence operatives and prison torturers, an endless torrent of incendiary hate propaganda in school books and the state-controlled media—the clerical establishment has failed to extinguish either the existence or the spirit of this community. 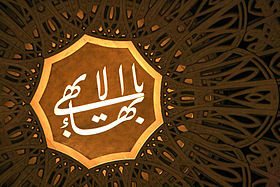 On the contrary, the purveyors of religious hatred are confronted today with the manifest failure of their efforts, in view of an unprecedented outpouring of sympathy and support for Baha’is, as influential Iranians, whether secular or religious, express their remorse for the silence of the past and call for the human rights of this persecuted minority to be respected in the name of a new, emancipatory conception of Iranian citizenship. The original Persian language version of Professor Vahman’s book—160 Years of Persecution of the Baha’is of Iran—first published over a decade ago, quickly emerged as a highly influential historical work. Today, it is widely considered the authoritative historical source on the persecution of Iranian Baha’is. It has helped galvanize a much- needed debate among a new generation of Iranian intellectuals and activists, struggling to reckon with the past that haunts their present. At a portentous historical juncture, when the likes of human rights champions Nasreen Soutudeh and Shirin Ebadi, and courageous clerics such as Ayatollah Masoumi-Tehrani and Ayatollah Montazeri, have defiantly stood in solidarity with their fellow Baha’i citizens, this book has inspired groundbreaking, once unimaginable films such as Reza Allamehzadeh’s Iranian Taboo and Mohsen Makhmalbaf’s The Gardener, that have helped popularize the plight of this peaceful community. Its painstaking and elegant rendering into English by a team of translators and editors has now made it accessible to a wider global audience at a crucial time for all those interested in under- standing the fate and fortunes of the Iranian people in their struggle for democracy and human rights. Professor Vahman’s account of anti-Baha’i persecutions is essential reading; it is at once a historical epic, a labor of love, and a moral challenge. It should not be lost on the reader that the author, though a distinguished scholar of Iranian studies, has himself suffered the tragic loss of family and friends to fanatical violence, and endured decades in exile. His continuing faith in the transformative power of truth, despite this experience, is itself remarkable, as is the painful irony that he cannot set foot in his own country without facing imprisonment and torture. In the face of the persistent lies and calumny of the Islamic Republic’s Orwellian hate propaganda, his dignified contribution to historical knowledge is a poignant demonstration of scholarship as resistance against oppression, a reminder that a new and better world begins with the power of words and enlightenment of minds. In this groundbreaking work of history, Professor Vahman has given us a gift for generations to come: a window into a dark past, but also a door to a bright future.